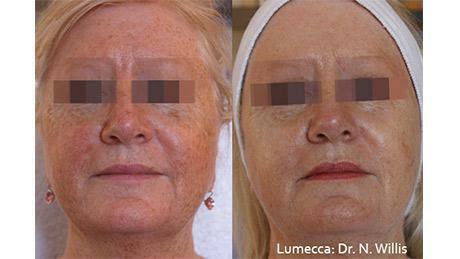 Red, blotchy, and hyperpigmented skin is challenging to cover up and nearly impossible to treat at home, but photofacial technology can make it a thing of the past. 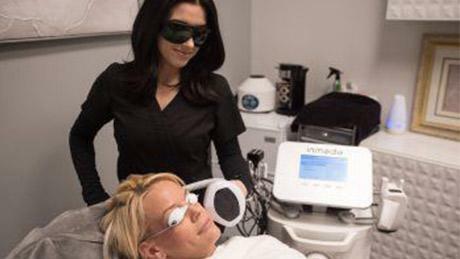 With more than 10 years of experience in laser cosmetics, Mari Contreras, PA-C, uses intense pulsed light photofacials to help men and women correct conditions that lead to uneven skin tone at Fresh Start Aesthetics Med Spa in Phoenix. To learn more about how a photofacial can improve the appearance of your skin, call or schedule an appointment online. In addition to targeting these conditions, photofacials can gradually help your skin look healthier and more vibrant. A photofacial will also reduce the appearance of enlarged pores and light wrinkles. IPL is a nonablative option for improving your complexion, meaning it does not require removing any skin. Mari is proud to use the latest IPL technology from InMode, which allows her to provide photofacials at Fresh Start Aesthetics Med Spa to people of all skin tones and types. Mari will discuss whether IPL is appropriate for your skin conditions, or whether you would benefit from other procedures. 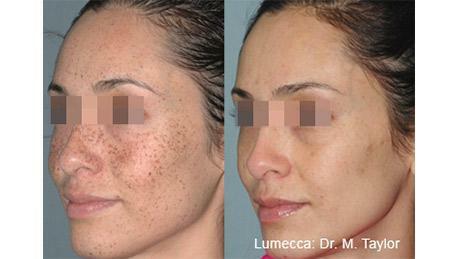 What should I expect from a photofacial treatment? Each photofacial lasts about half an hour, and it requires no downtime, so you can get a treatment on your lunch break and return to work right after. Before the procedure begins, you’ll receive protective eyewear, because the light from the IPL is too bright to be exposed to without protection. One of Mari’s estheticians will apply a gel to keep your skin cool throughout the procedure. Once the treatment begins, the pulses of light will cause a sensation like a light snap from a rubber band. IPL does not damage the skin, so you won’t experience pain afterward. However, the treatment area may be temporarily swollen and red, which should go away within a few hours. Your skin will be especially sensitive following treatment, so for the next 30 days, you’ll need to make sure you apply sunscreen whenever you go out in the sun. 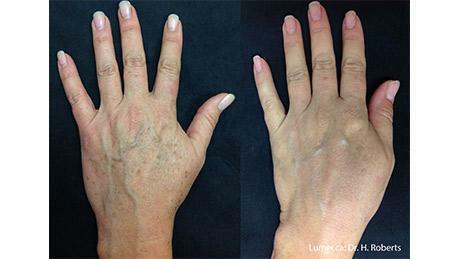 Mari is proud to offer photofacials at Fresh Start Aesthetics Med Spa using the state-of-the-art Lumecca by InMode, one of the most powerful IPL devices available today. 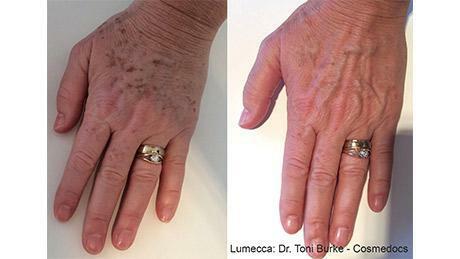 While many other IPL machines require four to five treatments, most people will need just one to three treatments with Lumecca. To learn more about how a photofacial can improve the appearance of your skin, call or schedule an appointment online with Fresh Start Aesthetics Med Spa today.